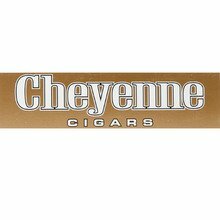 These Classic-flavored Cheyenne Filtered Cigars are small, flavorful, smooth, rich, and cheap as heck as far as the price goes, but not in quality or taste. The cigarette-style smokes are available in handy packs of 20. Each carton contains 10 packs for a total of 200. Get yourself some to enjoy right here at JR Cigar. The JR price has been reduced by $3.00 Off! Thanks for the quick service?delivery and great prices! 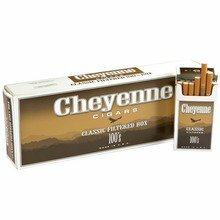 Great tasting - better than cigarettes. Great product. I smoke them instead of cigarettes. Great taste and great shipping time. This is my new go-to place . Thanks. best filtered cigar on the market! 1 out of 4 found this review helpful. The cigars are okay, sometimes lots are broken, what I have an issue with is the customer service, I called to cancel an order with one minute of ordering and they told me it was cancelled, but sure enough they came without notice and when I called to ask what to do they told me to just refuse the order, they offered no sorry, no compensation for my trouble, and they are slow on telling you when an order ships, I get an email the day they get delivered to my house. So if your okay with blah service go ahead and order from them. T.H.I.S. is the harshest, most disturbing smoke that I have ever had!!!! Not only do they go out after each puff, they are guaranteed to bust your lungs!!!! If you can make it stay lit before your lighter runs out, the flavor is "flavorless".... ABSOLUTELY horrible!!! The WORST smoke that I have ever had!!! I have been converted from a 120 brand of smoke for these. Love the full flavor. Mild yet flavorful little cigars. Smooth smoking, great price.